The Picotee Cosmo is a newer variety that produces cream colored petals that melts to rosy red edges that is absolutely stunning. This cosmo grows to only 48″ and is the perfect addition to any garden as it adds a lovely pop of color in a bouquet or in a vase. Cosmos can appear in single or double blooms and are easy to care for. 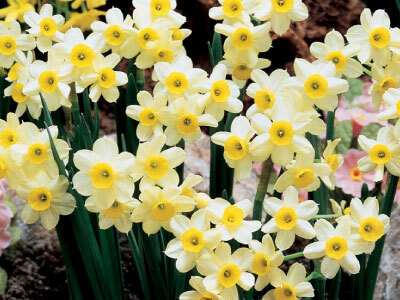 The flowers can reach up to 4 feet high but other varieties only reach 1 foot high. 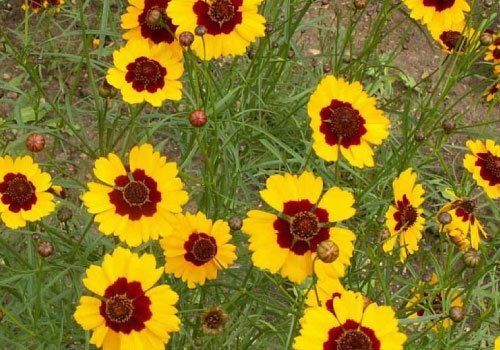 Before Planting: Cosmos grow best in soil that has not been amended, so do not amend the soil prior to planting. Planting: Scatter the seeds around the planting area and cover lightly with soil, no more than 1/4 inch. Space the seeds 12 to 18 inches apart. Fertilizer: Since Cosmos thrive on poor soil, do not add fertilizer to the plants. Days to Maturity: Cosmos are good cut flowers that are long lasting and will begin to bloom about 7 weeks after sprouting. 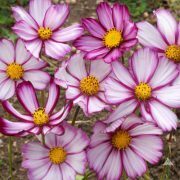 Harvesting: Instead of deadheading, Cosmos can be cut to be displayed indoors and this has the same effect as deadheading would in encouraging more growth on the plant. Harvest when petals on the first flower are just opening, but not yet flattened. Tips: Cosmos do well when paired with cleome, dahlias and cannas.